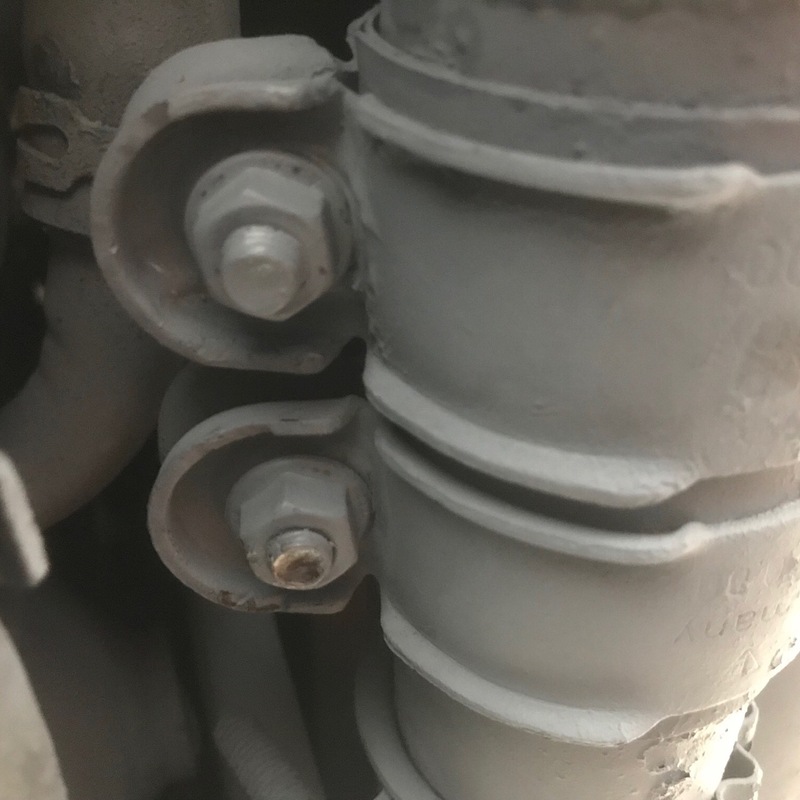 The exhaust has started to blow on my 997.1 … had a look underneath and found that the 'clamping sleeve, rear silencer to catalytic converter' is loose, so it moves along and exposes the gap between the two pipes its supposed to be clamping together ! The bolts on the clamping sleeve are so rusty I won't be able to undo or tighten them up, but as the clamping sleeve is so loose I would be able to slide it off if I could get the catalytic converter or the rear silencer to move along a bit. Question what's the best way to separate these two pipes so I can remove the old clamping sleeve and fit a new one? Just to confirm you mean no. 29 here ? If so you have to remove the silencer to remove the clamp .. this can end up being expense as the silencer bracket bolts corrode and snap . If the clamp actually moves though then i suspect the bolts have rusted through and as such are not actually holding it together . 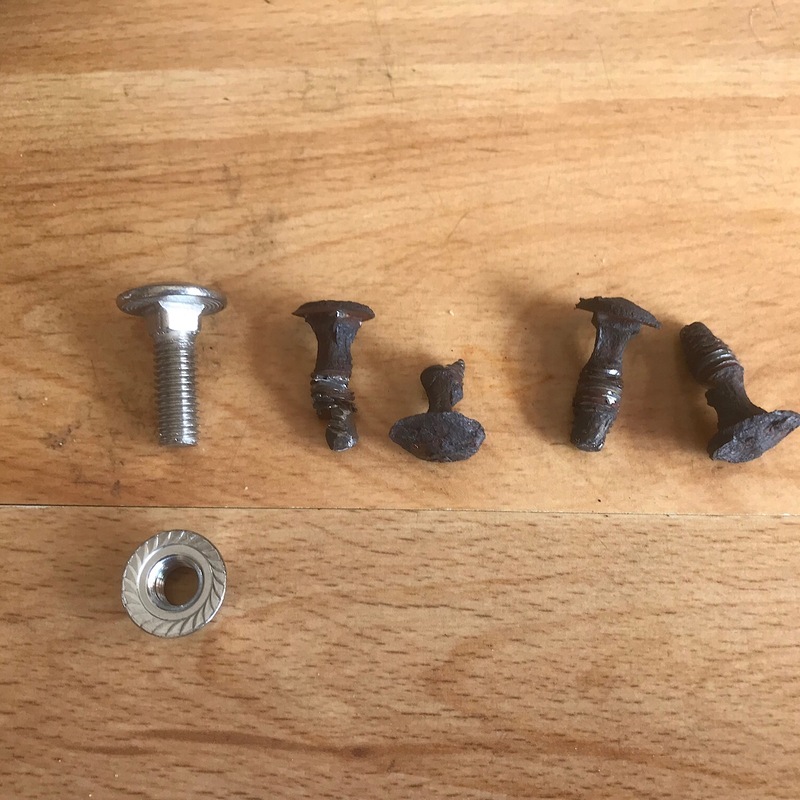 Your cheap option is to cut off whats left of the bolts only and just replace them. We call them Coach bolts at work . the bolts will have broken .. you cant move this sleeve if they havent .. try cutting and knocking them out and replaceing with any bolt long enough .. or order the correct bolts .. i think the part number was on that site i listed . Second pic This was what were left of mine , new coach bolt on left for comparison.